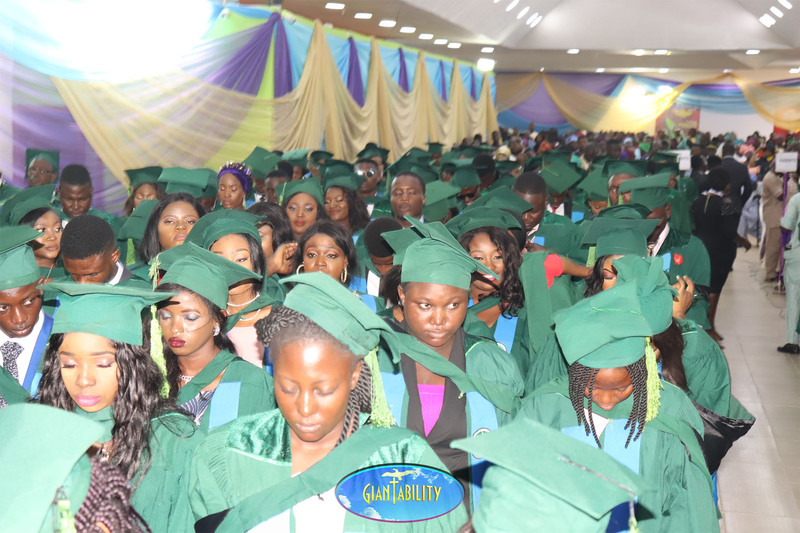 Caleb University, Imota, Lagos State has graduated a total of 23 first class students out of 398 students on Friday at the university’s eighth convocation ceremony. The ceremony tagged the release of “Amethyst Graduating Class of 2018,” took place at the university’s multipurpose hall. It had the school’s best graduating student, Anthonia Crystabel Nya, who graduated from the department of Computer Science with a 4.81. Nya, while speaking, disclosed her plans after school. “I have a lot of things, I don’t want to go into details at the moment, but one thing I am sure about is that, I will do exploits because I remember what the Bible says in Haggai 2:9 that the glory of the latter shall be greater than the former.” Caleb Express reports. Nya was awarded N25000 by the Peter Okebusola Science Foundation and N10000 by professor Nimbe Adedipe. Some of the best graduating students from each department were awarded financially while others were promised jobs after the completion of their National Youth Service Corps (NYSC). 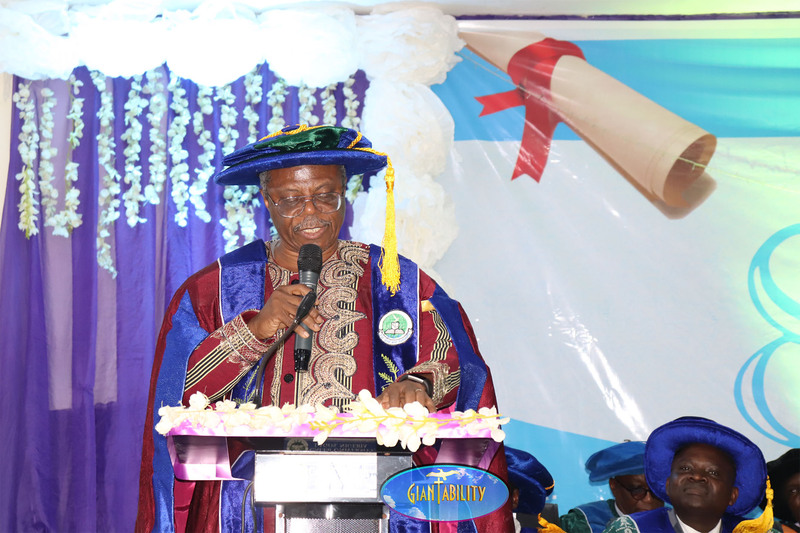 The Pro-Chancellor and Chairman of Governing Council of Caleb University, Professor Fola Tayo said, “Nigeria is a most unfortunate country under the shackles of despicable leaders who are wanted for terrible financial and drug in the United Kingdom and the United States,” while talking about the level of moral and character decadence in the country. 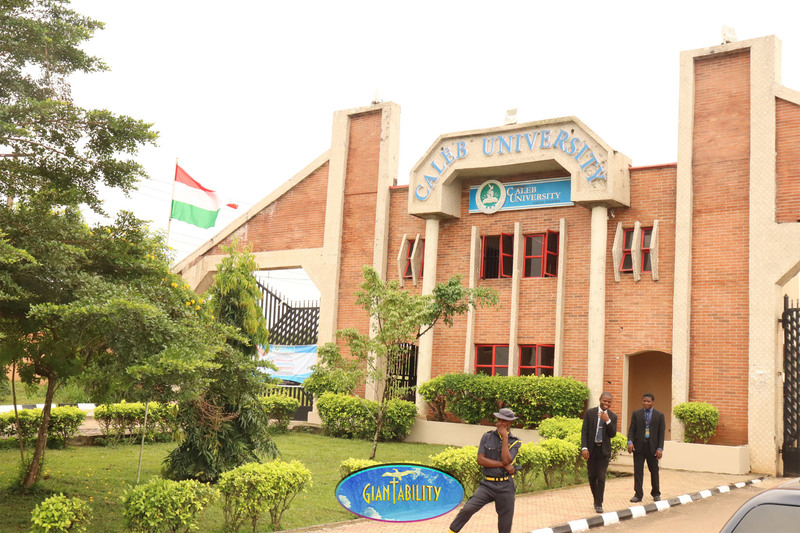 “Stick to the noble ideals and core values of Caleb University which include: Godliness, innovation, service, integrity, teamwork, excellence and creativity”. I join everyone here present today to wish you well in the journey of life.” He concluded. Giantabilty Media Network reports that the hall used for the ceremony could not accommodate all the parents alongside some graduating students. These resulted into the loitering of parents and graduands outside the hall. Asides the first class students, 199 graduated with second class upper division, 148 with second class lower division and 28 students with third class. Oba Ranodu of Imota, Ajibode Bakare-Agoroz and two other kings graced the event alongside officers of the university.